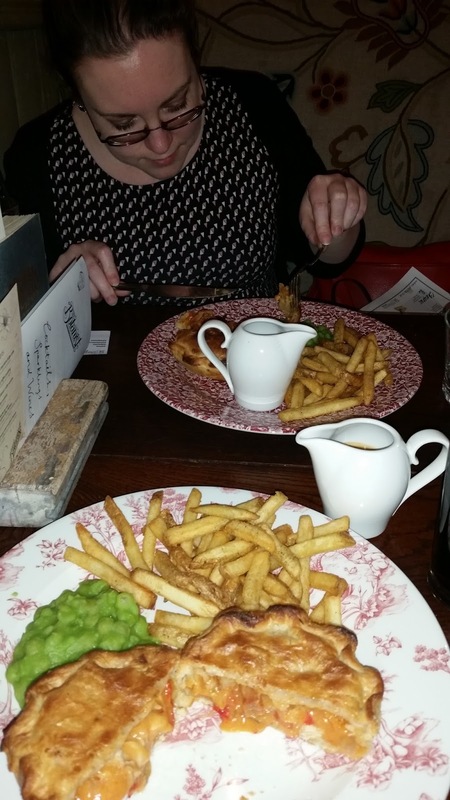 It’s now just over a year since The Botanist opened their doors in Birmingham, immediately becoming one of the better pie producers in the heart of Birmingham with a range of pies available on their menu. 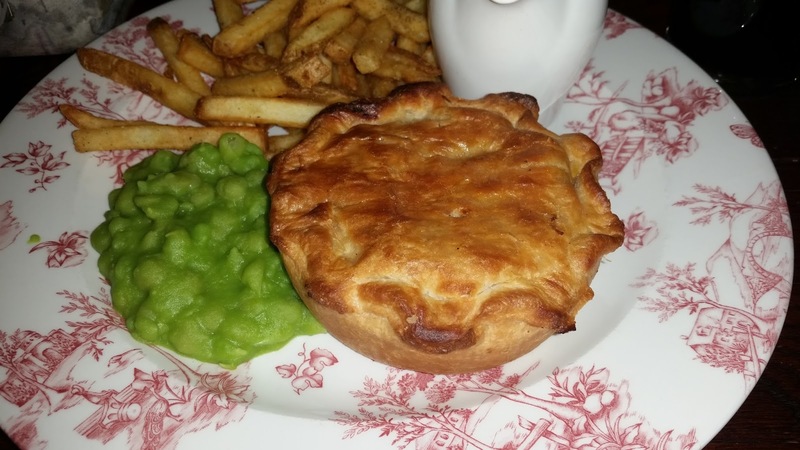 So when I was invited recently to go back and rate one of their other pies – the chicken and chorizo pie, which I’d had my eye on in the past – I certainly wasn’t going to say no! As previously mentioned I had already tried the Lamb Hotpot pie back when The Botanist had only recently opened, which sadly fell down on our criteria as it was a mash-topped “pie” with pastry sides and base. However I had a much more enjoyable and filling ex-pie-rience in the form of a fully encased Steak and Stout pie the last time I went, which scored 4.5/7. There was however some room for improvement still and I’m delighted to say that The Botanist has delivered on a number of our recommendations. 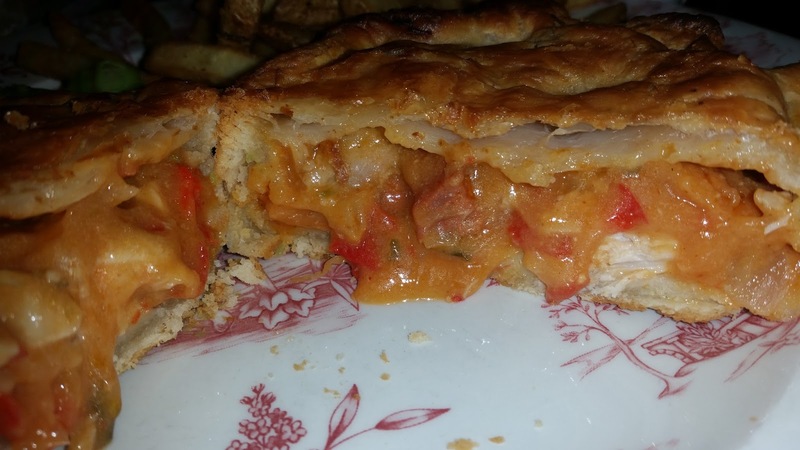 The clearest improvement was that of the packed capacity and content, which was far better filled and more enjoyable in this Chicken and Chorizo pie. There could have been a little more chicken, but overall this scored a lot better in this new pie. In fact, the scores had improved in nearly every one of our 7 Cs of pie rating, even if it must be remembered this is a different flavour pie filling. The colour was improved too, a lot more golden on the top and sides even if a little too crisp in places, and while the filling was a slightly shocking bright orange, this was understandable due to the flavours involved! The oozy orange sauce complemented the big chunks of chicken and chorizo (in fact, it was unusual to get such big pieces of chorizo in a pie, as normally they are tiny or even undetectable in pies I’ve rated before! ), even if this did mean the larger pieces of chorizo were a bit chewy! However this is expected of the meat, so I can’t really fault it for this! The condition was pretty good, again well-presented and golden, crisp and well made. The flavours were good – chicken and chorizo is a classic combo! And for £10.95 this meal is quite reasonable for a city centre meal, even if there are a few slightly cheaper options out there. I’d happily recommend it and look forward to trying the other pies on their menu too! No Weigh! A 2 Inn 1 Pie? !